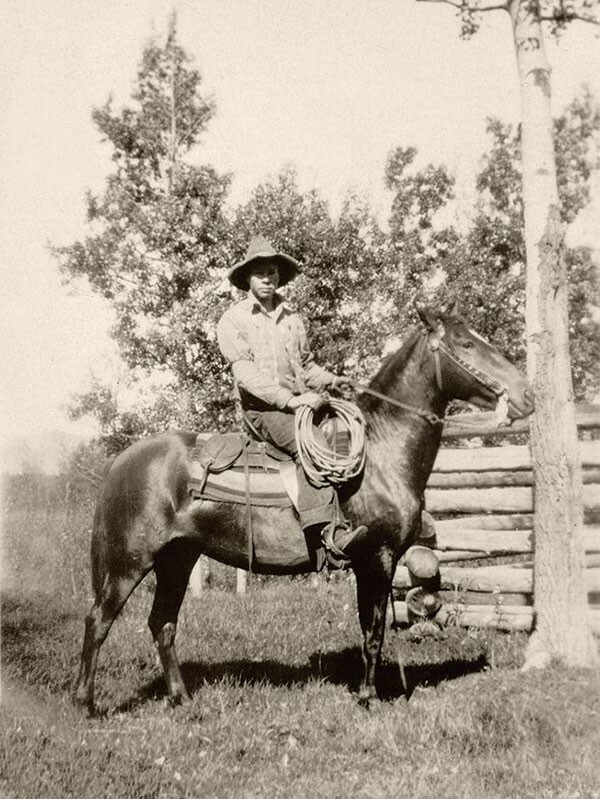 Walter Thomas (Judd) Groat was a noted guide, outfitter and horseman in the Edson-Jasper area of western Alberta. He lived in Brule with his wife Darleen, raising nine children. His parents, Thomas and Clarice, lived on Montana Pete's homestead at Entrance at the time he was born on April 1, 1913. They moved into Brule about 1917 when he was four years old. Thomas was also a guide and outfitter, and Judd made his first long fall hunting trip with his father in the fall of 1928 when he was just 15. Judd appears to have never looked back from that experience, excelling in his own right. This interview was conducted on August 12, 1998, just over four months before Judd passed away on January 3, 1999. We had hoped to review the typewritten draft with him to make sure we had transcribed it correctly, and were saddened to learn that this was no longer possible. I have consulted with members of his family to ensure that the text is as correct as possible, while maintaining the integrity of Judd's original responses.